Two of the tops contenders for style and quality are compared for their true qualities. 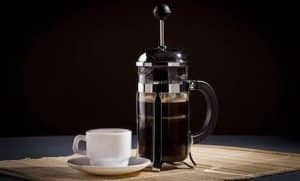 If you’ve been a Nespresso fan and were curious about French press, then this article is for you. Likewise, if you’ve stuck with the French Press brewing method, then maybe you’ll see things in a new light… Or dark, depending on the brew. The expresso coffee maker uses steamed water to extract coffee taste and flavor in a very short time under high pressure, which a french press style coffee maker can’t do. As a result, flavor and taste, as well as crema, are completely different entities. So what makes these two beverages special. Let’s have a little history lesson to satisfy that itch and then we will compare exactly what make these brew methods so infamous. There’s magic brewing. It’s inside a glass carafe, and it even has a plunger. This might sound delinquent compared to the masterfully engineered tech of the Nespresso but wait. Big coffee tech aside, the old ways of making coffee are still the best. One, in particular, the French press, remains well regarded as a subset of coffee fans. As it turns out there’s a reason for this method’s remaining popularity. With only two moving parts it’s an easy to understand brewing method and it’s likely that it will teach many young coffee novices about the best parts of making coffee by hand. The filter you’ll find in most drip coffee makers isn’t doing your brew any favors. The filter actually stops some of the most important flavors from getting to your coffee. There’s plenty of flavonoids and oils that come easily to French Press brews. Since there’s only a metal filter here, you’re getting the most out of fresh ground coffee beans and not dealing with stray grounds in your cup. So when the coffee tasting experts take a slurp of french press and declare it “A really clean, strong cup of coffee”, you might be left confused. However, it’s the kind of a paradox. The great and flavorful oils and the manual brewing method come together to create a full-bodied coffee. It’s a simple process too. If you kindly add your grounds and hot water and then show some discipline by waiting four minutes you can plunge your french press and enjoy some coffee. Just remember to stir after you’ve poured the hot water and experience tells us to use a wooden spoon to stir the grounds in the press – if you use metal, the hot glass could break. You are the coffee master. You control brew time, therefore you control the strength and, ultimately, taste. Like any personal pursuit or pleasurable endeavor, brewing and enjoying coffee is highly subjective. Some java drinkers will surely prefer the clean and refined taste of quality drip over the rustic and powerful flavors of the French press. Others will crave cold brew like no other coffee style no matter what the forecast. As long as you know just what kind of drink these popular methods will likely yield, I suggest trying your hand — or at least wrapping your taste buds around — as many brewed coffee types as you can. You never know what kind of black gold will float your boat. 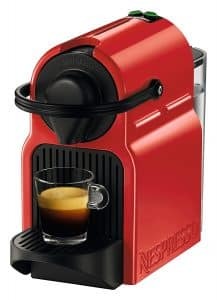 There is also a multitude of different Nespresso machines that will fit your style or budget. Here’s a review we did of two of the most popular Nespresso brewers. 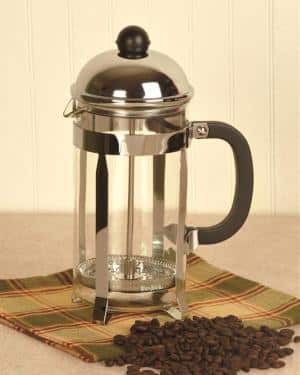 French press coffee follows few rules, and even breaking those rules could make for some interesting possibilities. However, there are a few fundamental steps that need to happen to ensure you end up with coffee and not a disaster of sorts. 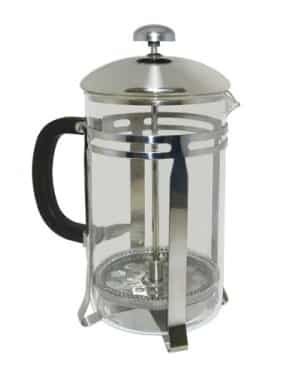 French press coffee requires a source for hot, near boiling water. Now, the exact temperature is discussed and argued over in many of the expert coffee circles, but you can be sure that close to boiling will reveal excellent flavor notes and a good extraction. Thus, it’s important that regardless of where you are preparing your coffee, that you have ample heat and enough water to brew with your ratio of fresh coffee grounds. We all know how important fresh coffee grounds are to the final product. Between 18 and 20 grams of coffee, which looks like a heaping tablespoon, per eight ounces of water is an adequate ratio. Once you’ve got your French Press apparatus ready to go, then it’s time to add grounds to the bottom of the carafe. Then the water. Water should be to temperature and pour in a manner that ensures all grounds are covered equally as they rise to the top. It’s recommended to use some god filtered water as well. Next, you’ll find patience or a timer to be among the most important tools in the process. If you let the coffee get out of the sweet spot for extraction you’ll end up with a poor brew that is either sour tasting, on the short brew side, or too bitter and astringent, on the longer brewing side. Thus, it’s important to know that the sweet spot is around four minutes. Of course, the factors such as temperature and PH balance have an impact, but let’s have the white coats take that on, for now. Yes, we’re going to show you how to make coffee with an automatic brewer. Though the Nespresso is among the most convenient ways to make coffee, it’s important to understand some of the defining practices that will get you the most brew for your buck. Warm up the Nespresso machine first, it’s simple but a lesser-known tip in the world of automatic brewers. This is unbelievably effective. Before you pop a pod in your machine, be sure to run it a couple of times with the lid down to flush out any residual grind and heats up the pod contact points. This technique also does marvels for the Keurig brewer. Secondly, when inserting the pod, depending on the machine it’s best to insert at an angle or however the pod will cause the least resistance when shutting the lever action lid. When the coffee is pouring, watch how the coffee changes colors. This is exactly the same as when a professional barista pulls an espresso shot. The espresso goes through three different shades of color during the brewing process. First a red/brown hue, then caramel, and finally a light blonde color. By observing the process you can understand that the red/brown shade is the ristretto style of espresso which gives your coffee sweetness and body. Once it gets to the more caramel colored stage this is the pure espresso stage of the brew. This is the section of the brew that is the most balanced in flavor. Finally, as soon as the espresso turns blonde, stop the water flow. This can ussually be done (varying on different models, of course) by pressing the same button that begins the brewing session. The light yellow color coming through is only extracting bitter and watery espresso. Some might call this the lungo, a term for a long draw espresso. 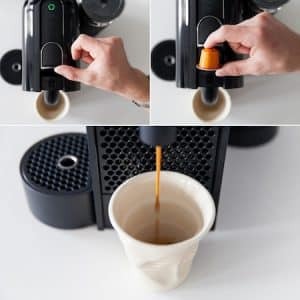 However, it might be best to stick with the espresso draw and simply add hot water after the fact, so you’ll end up with a clean addition to the beverage instead of the bitter extract. This is a world of difference between making coffee in the French Press. Nespresso is worlds apart from the Aeropress. We’ve compared the two of those brewing methods here. Is there more caffeine in French press coffee? The espresso is notorious for the notion that it contains a large amount of caffeine. This is somewhat misleading. 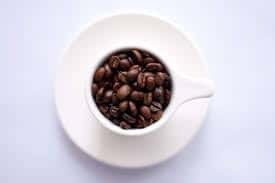 When the white coat wearing coffee scientists approached the measurement of caffeine among the most popular style of coffee beverages they actually found that espresso had a very close milligram dosage to a cup of drip coffee or even French Press. Based on the volume of the espresso drink, which is typically two ounces, the caffeine content is at 100 mg. Next was coffee brewed in the French press with 107.5 mg per 7 ounces. 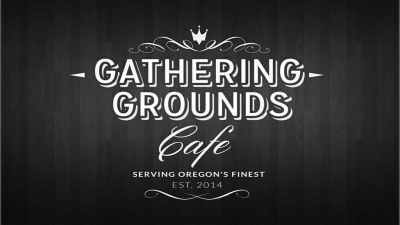 To give you a sense of perspective drip brewed coffee came in with 145 mg of caffeine per 7 ounces. This is a great way to put into perspective the various amounts of caffeine you’re consuming. If you were to have a heaping glass of espresso though, you certainly would be consuming much more caffeine than a glass of drip coffee or French Press. You can always have a double espresso coffee cup too. Here’s more info on caffeine that we love to consume every day. Thank God for those amazing coffee scientists. Can you use a French press to make espresso? This method can be less consistent. 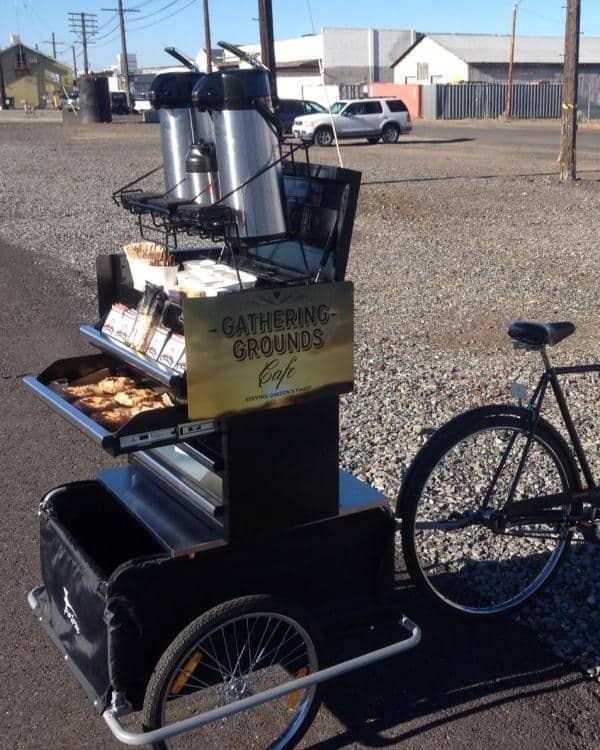 The espresso ground is very fine. 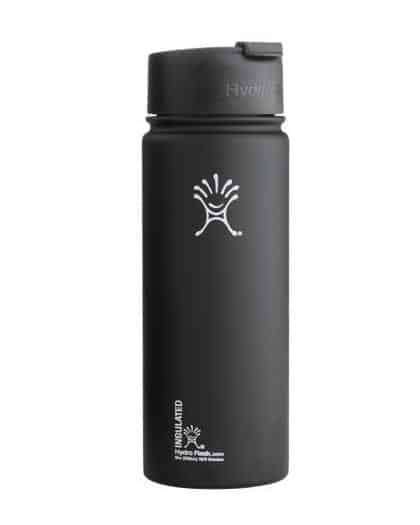 It is finer than what you would have if you were grinding beans for a regular French press or a drip coffee maker. The fine ground contributes to the flavor and ability to mix with the hot pressure of water. Espresso ultimately requires atmospheric pressure to deliver its full spectrum of flavors that are characteristic of the drink. Certainly one could make some incredible dense French Press coffee, but the extraction wouldn’t have the same qualities. However, one of the best functions of the manual French Press brewer is that the coffee product is completely determined by the variable that you put into it. It’s all at your fingertips, literally. 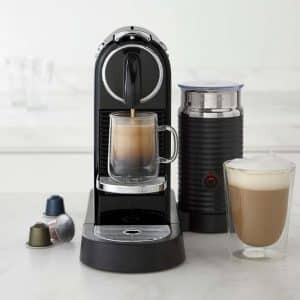 How does the Nespresso hold up to actual espresso? Nespresso takes the skill out of the shot, but can’t replicate the quality of a manually or semi-automatically pulled espresso shot. It’s the number of variables that have become less with the machine. Espresso is difficult due to the fact that there are machines, beans, water quality, temperatures, pressures. Apply those further to the techniques like understanding tamping technique, pressure profiles, etc. Then you’ve got yourself quite a vertical challenge ahead. Though it’s not impossible to learn these things and get a fine cup of espresso, it just requires a different kind of investment. Learning over time and dredging through some failures to get a product that you find fits the espresso you’ve come to love. Nespresso takes automation and fresh grinds, even water temperature and pressure and makes quick work of them. The idea is like the automation of the Keurig but on a grander scale. Though there are some differences between the true espresso, it’s likely that you’ll find the beverage very closely resembles its counterpart. One can even try to make espresso without a machine, but it’s an arduous task. Regardless of which of these coffee making methods you’re preferential to, it’s likely that you’ll end up with a significantly better coffee than you’ll find at the local gas station or even Starbucks. However, the choice is yours, hopefully, you’ve made a definite distinction between the two varying methods. If you simply want to try them both or further compare them to the plethora of brewing methods out there, then check out our gear reviews here. Cuisinart dbm-8 vs Mr. Coffee Automatic Burr Mill Grinder – Almost Identical, So What’s the Difference?